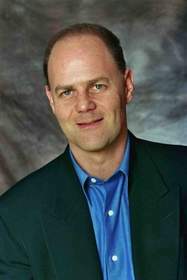 NEW YORK, NY--(Marketwire - Jan 31, 2013) - Zazoom LLC, parent company of the popular video brand Buzz:60 and technology platform Buzztala, today announced the appointment of Steve Bradbury as its Chief Operating Officer. He was promoted after serving as the Company's Chief Revenue Officer since May 2011. In his new role, Bradbury adds responsibility for Zazoom's daily non-editorial operations, social media strategy, programming development, marketing and corporate communications to existing oversight of business development, long-term revenue generation and strategic partnerships. Based out of Zazoom's New York headquarters, he continues to report to CEO & Co-Founder Tim Minton. "Steve has been an integral part of driving the Company's phenomenal growth, scaling content distribution to reach 22M monthly views in our second year," said Minton. "His strategy of diversifying Zazoom's businesses, while maintaining an unwavering focus on professional quality, perfectly positions the Company to sustain and accelerate growth in Y3." "In less than two years the Zazoom team has created an extremely robust foundation for a world-class scalable business," said Bradbury. "Our objective is to continue building a vibrant company that will rapidly respond to the evolving intersection of content, revenue and technology. I'm proud of what we have already accomplished and look forward to even greater success moving forward." Bradbury brings more than two decades of experience to this role spanning business development, operations & marketing across digital and traditional media. He originally joined Zazoom after leading the boutique-consulting firm Vlocity Digital, which provided advisory services to media, entertainment and consumer products companies. Previously, he was VP, Content Strategy & Business Affairs for GoTV Networks, at the time the premiere U.S. mobile media network. His corporate management experience has included roles at MGM Worldwide Television and Universal (MCA) TV. Founded in 2011, Zazoom leverages deep expertise in how video is consumed across multiple platforms combined with proven long-term success in journalism and technology to produce entertaining and informative programming. The company's co-founders include Tim Minton, a former NBC-NY and WABC-TV news correspondent, and veteran news executive Philip O'Brien, who helped start Time Warner Cable's NY1 24-hour newschannel and Fox's "Good Day New York." They have been awarded a combined 20 Emmys, among many other industry honors.